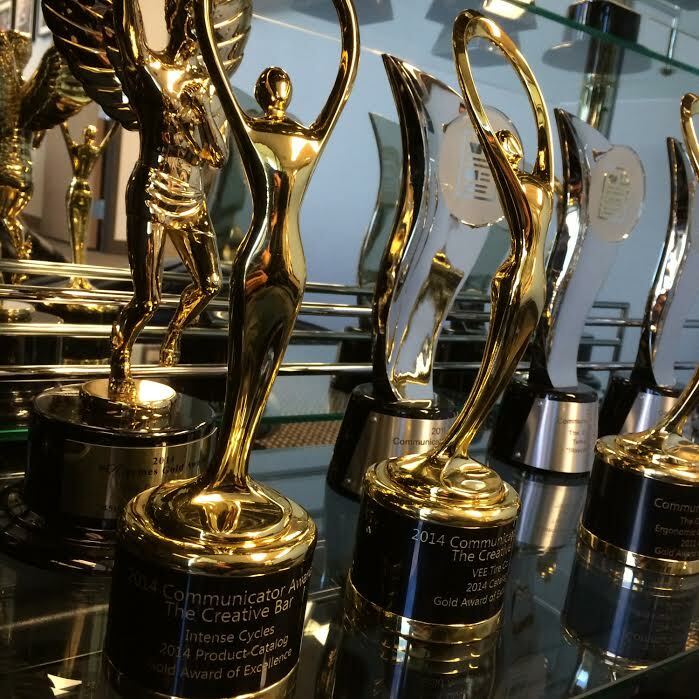 Murrieta, CA — Local Branding Agency, The Creative Bar, was honored with 5 awards this weekend at the American Advertising Awards in Riverside, CA. The black tie affair was held at the historic Mission Inn, and recognized veteran award-winner, The Creative Bar, for its work with international tire manufacturer, VEE Tire Co., world-renowned mountain bike company, Intense Cycles, and locally, the Temecula Valley Chamber of Commerce. In total, The Creative Bar took home three gold and two silver awards—one for each of their submissions. This year boasted the highest amount of entries in American Advertising Awards history. Located in Southern California, The Creative Bar is a full-service design, marketing and branding firm specializing in company branding, marketing, print and web design for both national and international clients. Since 2007, The Creative Bar has won 49 National Design and Advertising Awards and hopes to reach 60 by the end of 2014.